Heat oil in kadai. Add cumin seeds, curry leaves, hing, and green chilly, mix well. Add cauliflowers, ginger paste, garlic paste, sauté for 1 minute. Add soya grenules, salt, red chilly powder, turmeric powder, coriander powder, mix well. Add required water, mix well. Cover pan with lid. Keep stirring occasionally. 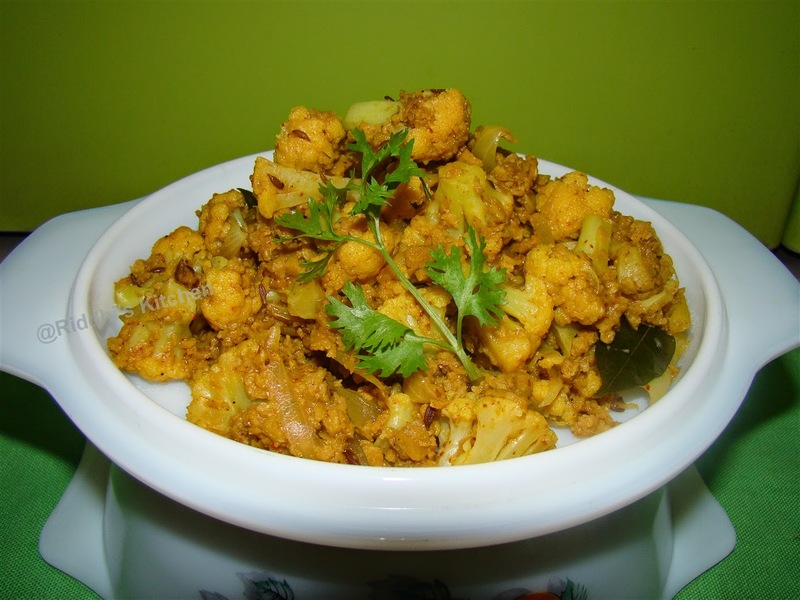 Cook for 5 to 7 minutes or till cauliflower soft. Garnish with fresh coriander spring and serve hot with roti.